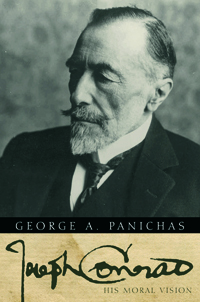 This book seeks to renew interest in Joseph Conrad’s moral imagination—not literary theory but the dignity of creative literature impels the author’s reflections on Conrad’s novels in their varied shades of moral significance. Here, the author approaches Conrad’s novels in the context of what the novelist V. S. Naipaul writes: ?In fiction he did not seek to discover; he sought to explain; the discovery of every tale is a moral one.? With illuminat3.ing interpretations, the author focuses on the consequences of moral darkness and moral warfare as he proceeds to uncover Conrad’s basic ideas and meaning. The book shows that morality in Conrad’s work is not reducible to an absolute category but must be apprehended in the forms of both moral crises and the possibility of moral recovery enacted in their complexity and tensions. Guiding a reader’s travels to the furthest realms of Conrad’s imagination so as to penetrate to the heart of the novelist’s moral vision is one of the author’s dominant aims. These travels take the reader to The Secret Agent, Lord Jim, Victory, Under Western Eyes, Chance, and The Rover. At the center of this study is a long chapter on Nostromo (1904), which is set in a Latin American state and presents a fervid political drama of rapacity, intrigue, betrayal, ideology and revolution. The author views this novel as representative of Conrad’s supreme vision of the human world and the human soul in disorder. No chapter better describes how society and character are radically transformed by “material interests” that defy first principles. Anyone disturbed by postmodernist advocates of a New World Order has much to ponder in this challenging book.